Rising wages for blue-collar truckers are a threat to the nation’s economy, says Jeff Bezos’ Washington Post. “The challenges facing the industry, including trucking companies rapidly raising prices as they raise wages, have special power to affect the entire economy,” writes Heather Long. 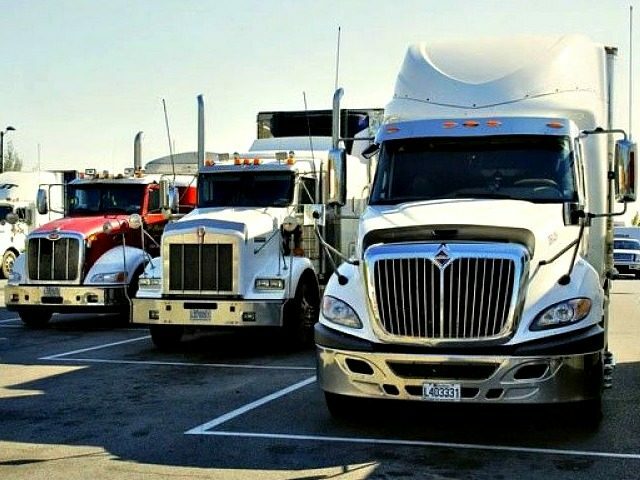 The gains for truckers are a novel pain for the investors and employers who have been able to hold down wages for decades because the federal government is trying to grow the economy via cheap-labor legal immigration. The unexpected rise in wages is also a problem for Jeff Bezos, the billionaire owner of the Washington Post whose Amazon retail empire depends on cheap truck transport. His business is already facing higher warehouse costs because the nation’s 800,000 warehouse workers have won a 9.4 percent pay increases since January 2017. The political fight over imported cheap-labor is a see-saw battle. Congress has blocked Trump’s pro-American reforms and is trying to preserve the inflow of Central American workers via the nation’s loose asylum laws. But Trump has used his legal authority to curb illegal immigration over the Mexican border, sharply lowered the inflow of workers via the refugee agencies, and has minimized the growth of the guest-worker programs. He has also blocked a business push in Congress for another amnesty of ‘dreamers’ and other illegals, as well as for a huge expansion in the number of guest-workers. Trump’s opposition has forced business groups to lower their amnesty goals down to just 1.8 million illegals. House Speaker Paul Ryan pushed that medium-sized amnesty goal in June but was blocked by 112 GOP House legislators. That is a huge change from 2013 when business groups worked with Democratic and GOP Senators to push the “Gang of Eight” cheap-labor-and-amnesty bill. That bill would have delivered roughly 30 million legal immigrants by 2023 and shifted more of the nation’s annual income towards Wall Street. There’s only one option right now for most trucking companies: Give substantial raises. Recruiters who show up daily at TDDS [a truck-driving school] are offering jobs that pay $60,000 to $70,000, with full benefits and a $4,000 signing bonus. the industry simply can’t find a way to move goods as fast and cheaply as they have in the past. This logjam will be especially perilous, economists say, if competition for truckers pushes up prices so quickly that the country faces uncontrolled inflation, which can easily lead to a recession. The Washington Post had yet another hysterical piece about how “America’s Severe Trucker Shortage” could undermine the economy. While the piece features the usual complaints from employers about how they can’t get anyone to work for them no matter how much they pay, the data indicate they aren’t trying very hard. Here’s the inflation adjusted average hourly pay for production and non-supervisory workers in the trucking industry since 1990.